This was the first cabochon I cut after learning a no-dop stick technique. It was a very large rock when I started! 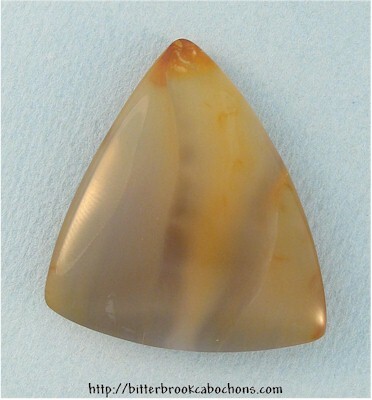 Its low price does NOT reflect the damage done to my fingers while learning this new way to cut cabochons! 36mm x 32mm x 9mm. Weight: 64.80 carats.